Fiber Flux: Big Hook Rag Crochet Review and Giveaway! Big Hook Rag Crochet Review and Giveaway! 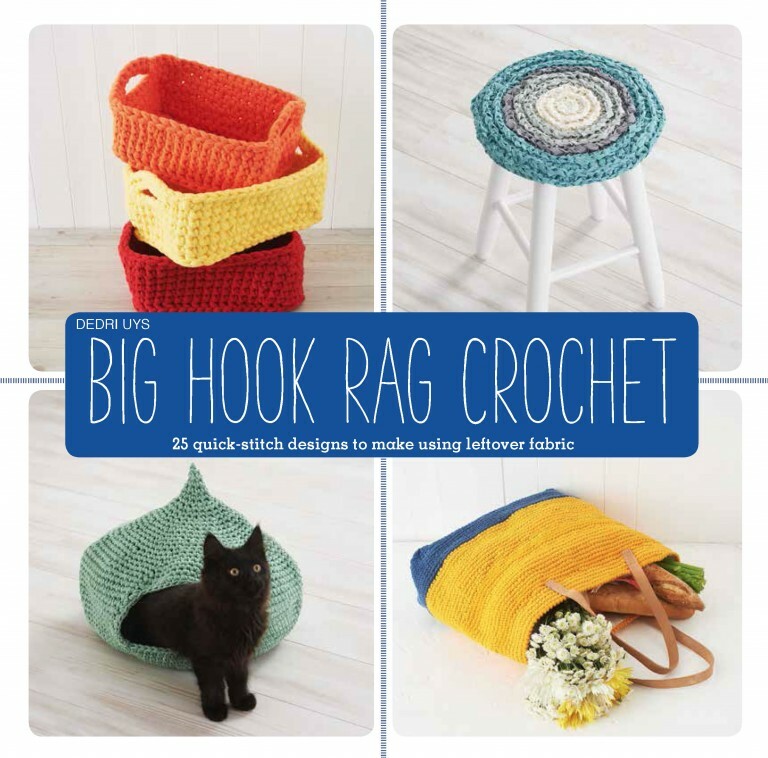 My bloggy friend Dedri Uys has just released a great book, Big Hook Rag Crochet (ISBN:978-1-4547-0925-1). She's the super duper talented designer who created Sophie's Universe (amazing work of crochet, be sure to definitely check that out). Have you ever crocheted with fabric? This book jumps right in with 25 fun projects that are both beautiful and unique. There are 15 designers that wrote the lovely patterns in this book, so each has a nice variety of project styles and sizes, ranging from a large pet bed to a trendy necklace. There's also a thorough techniques section which explains everything very well. Dedri herself designed the "Fun Fruit Pouffes" a fabulous green apple and a cheerful orange too...aren't they great? The "Floor Cushion" caught my attention too, what a great accessory for the home and perfect for those cozy days at home. I have a thing for tote bags, it seems I'm a collector of sorts (you can never have too many, right? ), so I'm loving this "Simple Shopper" I love the bold colors and the fabulous handles too...practical and pretty! Your laptop will be super cute in this laptop cover...shown in lovely lavender and secured with 2 buckles, This fun project explores the seed stitch and adds a delightful texture. Giveaway has ended! Thanks so much to everyone who entered. Congratulations to Rosalie M, the winner of Big Hook Rag Crochet! I love the look of the floor cushion. My kids aren't allowed on the couch with food and this would make the floor a bit more comfortable during movies and popcorn nights. i like the bag and laptop cover. they would be the first projects. Awesome! What's more awesome than a Dedri pattern? Winning some!!! Thanks so much for the chance to win! I love your FB and Pinterest pages too by the way, thank you FF !!! I would absolutely make that Cat bed! This looks really interesting! 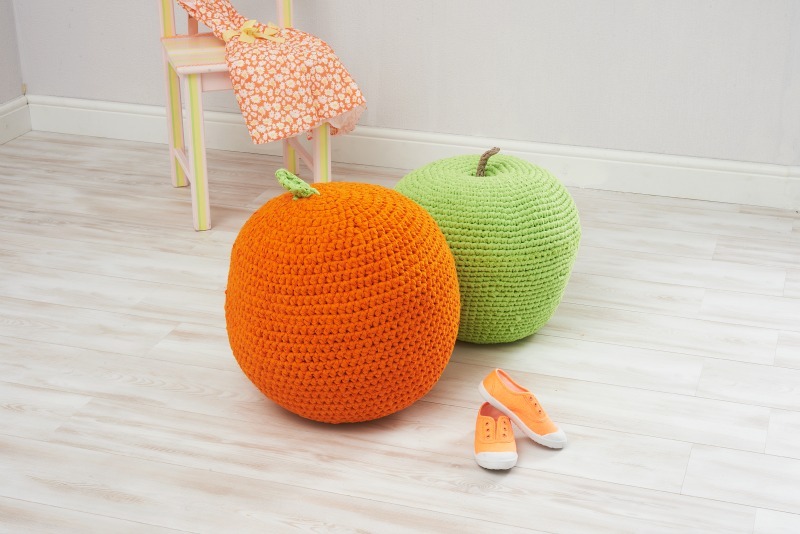 I am somewhat new to crocheting, but it is great to see projects that are different from the usual! I would love to try all of these projects, the floor cushion would also make my little dog very happy. Thanx for such a great blog... Your's is one of my go tos, for inspiration!!! I love your new giveaway!!!! I would love to make one of the tote bags. I'm not sure what I would make I would have to look thru it carefully and see which one I would want to make. I appreciate this book giveaway. I like the pet bed and the cat hidaway. I have not crocheted with fabric but may try. I'd make the floor cushion! It looks SO comfy! sure would like those patterns ! It sounds like a very interesting book and I like the cushion and little baskets. Would try to make those if I won. The first of several things would be the Floor Cushion for my fur babies!! There are so many interesting things to make on this site. I would make the pet bed or the baskets. Thanks for the giveaway! I love the book. Just hope I could win it. It would be a new challenge for me. I love your blog, especially the new section on yarn 101. Thank you for always having and sharing your wonderful patterns with your followers. I would make everything in this book! I'd love to make baskets for my craft room!